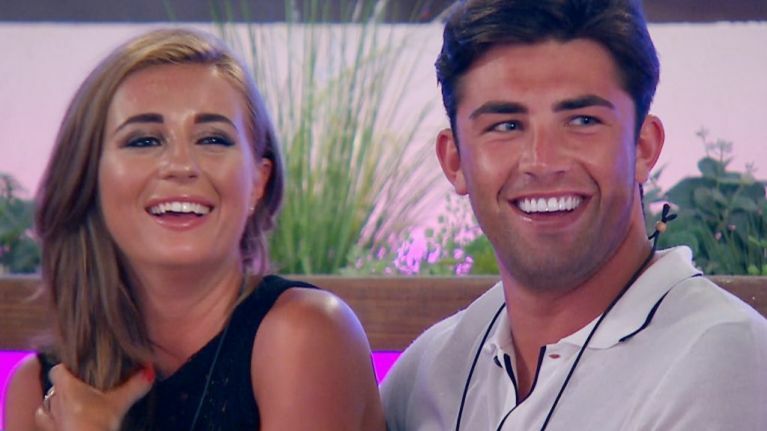 We literally can't keep up with the relation between Jack Fincham and Dani Dyer. One minute they're living together, and the next they're publicly announcing their split on social media. During the week, we were led to believe that the couple had once again gone their separate ways. The couple split due to Jack's admission of going on a cocaine binge after his stint on Love Island. Although, it looks like all is forgiven in the land of Jack and Dani. She continued: "It shows me what really matters and what I need to address in the world, rather than all pointless things, really." Which might explain why she uploaded a very cute snap of herself and Jack last night on Instagram. Dani posted a very cosy looking snap of herself and Jack lying in bed together. "Always look forward to having you after a long day." So yeah, they're clearly back together. Always look forward to having you after a long day? Fans were quick to comment on the snap, sharing their thoughts on the couple being reunited. "SO happy and glad to see that you two are good! Press are always stirring and neither of you deserve that," wrote one fan of the pair. Another said: "We all have our troubles with our partners, just a shame yours is in the public....so glad you are both ok."
We're happy to see these two so happy!